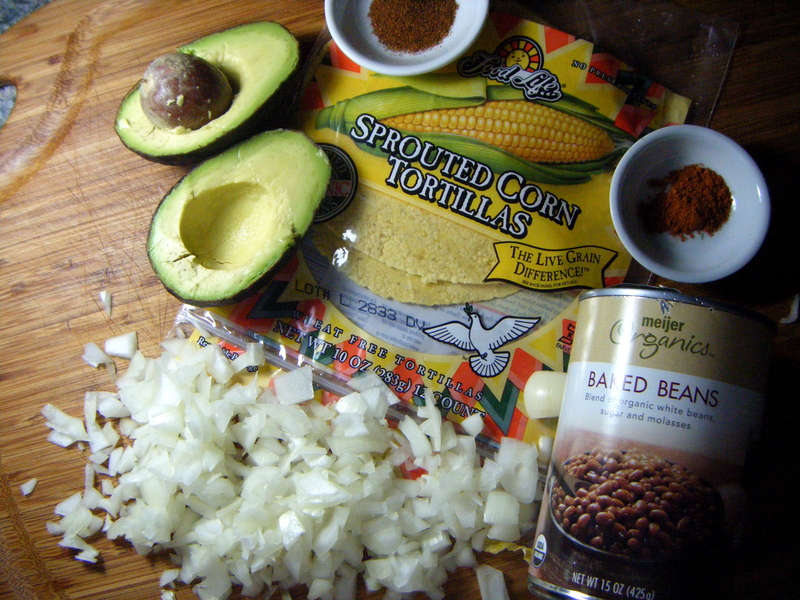 My mom told me about these tostadas awhile back, she found the recipe in a magazine, and I figured they’d be great! I didn’t have the recipe, but here’s what I came up with. 1. Heat 2 tbs olive oil in a large saute pan over medium high heat. 2. 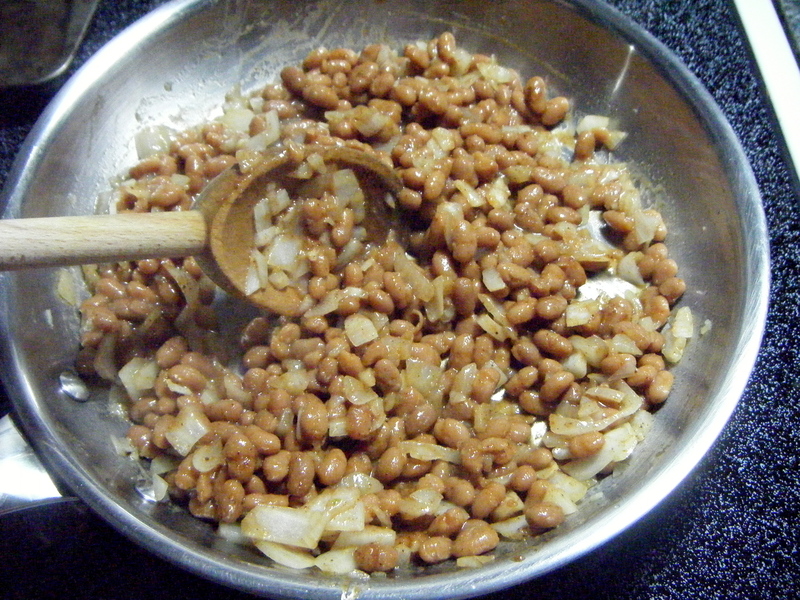 Add garlic, and saute for 2-3 minutes, until fragrant. 3. 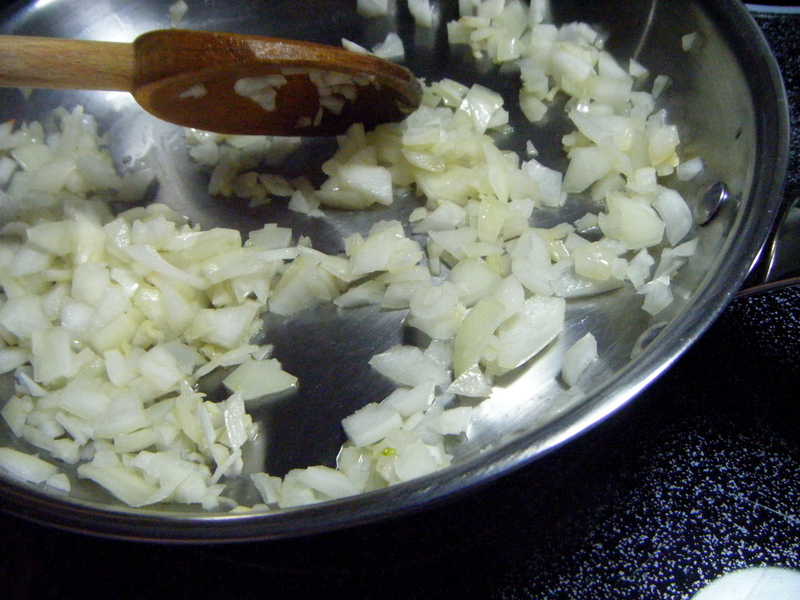 Add onions, and continue to cook for 5 minutes, until the onions are translucent. 4. 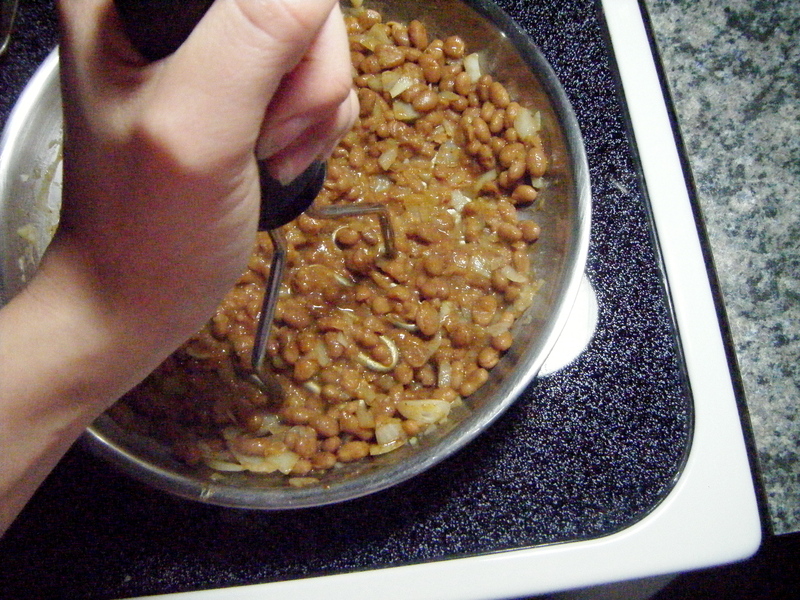 Add in the baked beans, mix. 5. 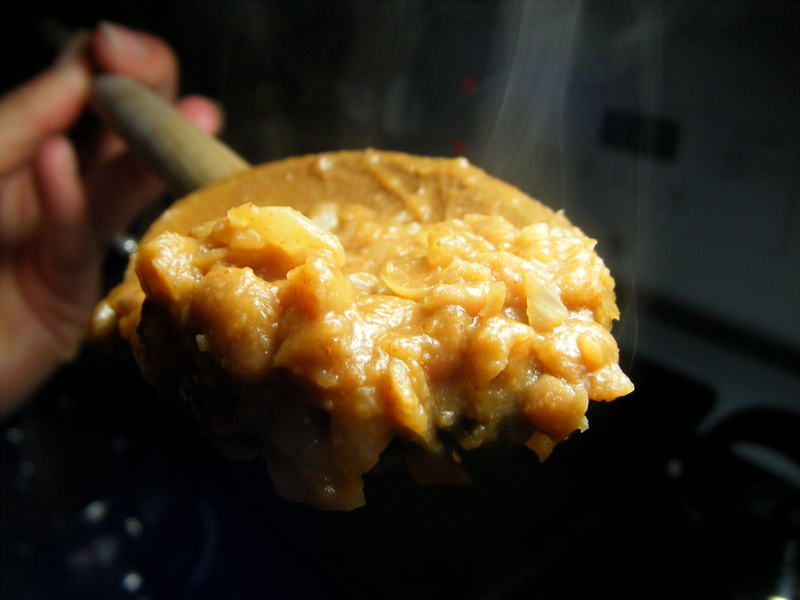 Mash the bean mixutre with a potato masher, or whatever you have on hand. 7. 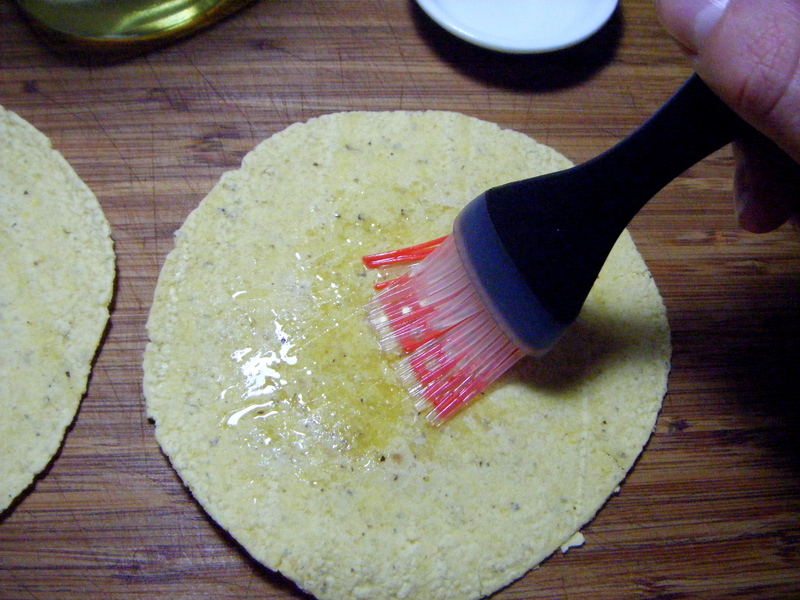 With a pastry brush, lightly brush your tortillas with olive oil on both sides. Place tortillas in the oven on a pan for 6-8 minutes, until crisp. 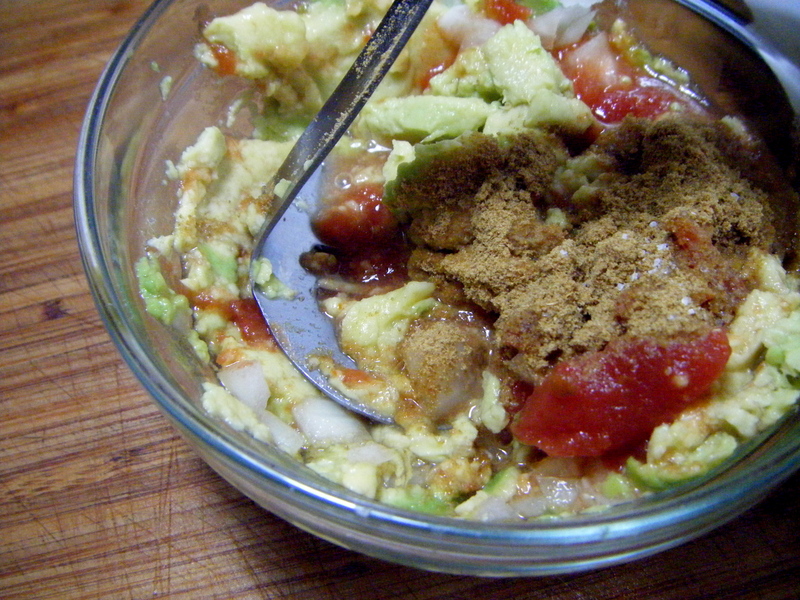 I also made a little bit of guacamole with the only avocado we had one hand. 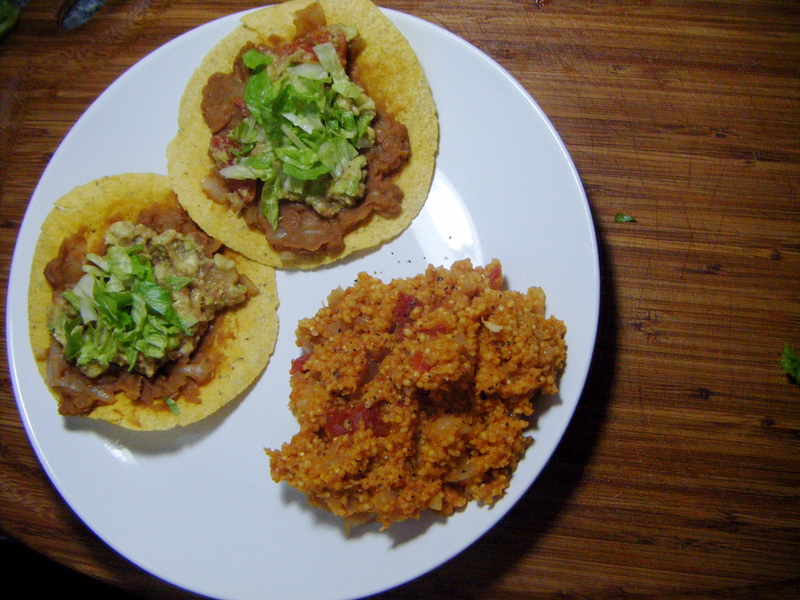 Topped with some diced lettuce, and served next to some Mexican Millet from Veganomicon, this was a delicious impromptu meal! Have a great night, and stay warm and safe if it’s snowing where you are!